Smartphones deserve smart antennas. Cavendish Kinetics’ SmarTune antenna tuning products enable substantial radiated performance improvements. The first generation of SmarTuners has been in volume production since 2014, and continue to ship in very high volumes. These digitally variable RF MEMS capacitors are used to tune both main and diversity smartphone antennas across low, mid, and high bands. The net result is stronger signal and faster data rates. The biggest smartphone OEMs from around the globe are rapidly adopting Cavendish SmarTuners to realize maximum RF performance. The second generation of RF MEMS products bring improved SmarTuners and a new line of SmartSwitches. 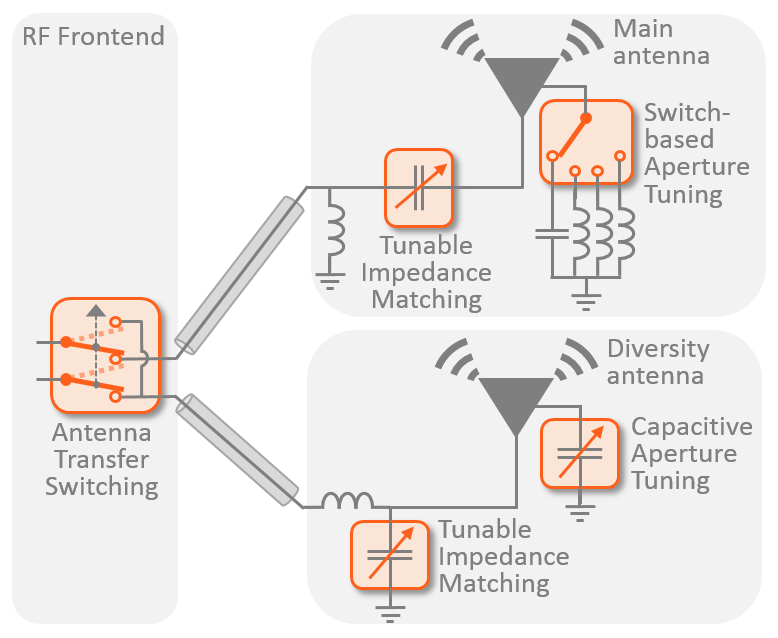 This expanded product line enables aperture antenna tuning, impedance matching, and antenna switching with key performance specifications far superior to anything in the industry. RF MEMS maximize RF performance with outstanding Q-factor, high voltage handling, superb IP3 linearity, and extremely low insertion loss. The core technology that enables CK’s second generation RF MEMS products can also be integrated into RFFE modules. The extremely low loss capability of RF MEMS can boost RFFE module performance by >1dB.